My name is Caila Brander and I am the Policy Coordinator at The National Women’s Health Network, a nonprofit advocacy organization that works to improve the health of all women. We are supported by our members and, by choice, we do not accept financial support from drug companies or medical device manufacturers. Since the NWHN’s founding over 40 years ago, we have brought the voices, concerns, and needs of women consumers to policy and regulatory tables, including the U.S. Food and Drug Administration (FDA), advocating for medical products that meet women’s real life needs and for a drug approval process that reflects women’s lived experiences. We appreciate the opportunity to speak here today regarding benefit-risk assessments in the drug regulatory decision-making process. We are an organization that believes in evidence-based approaches to solving problems. When it comes to the FDA’s assessments of benefits and risks, the evidence suggests that the current system is failing consumers by fast-tracking drugs to market before they are proven be safe and effective. The FDA has a responsibility to protect a diverse population of consumers, including women and people of color, from the danger of unsafe drugs. Ensuring a product is safe for a diverse population is often relegated to postmarket clinical trials or adverse event reports. We strongly disagree with this approach. The current benefit-risk assessment overestimates the capability of postmarket analysis to detect important drug safety concerns. We know the percentage of adverse effects that get reported back to the FDA are just a fraction of the actual number that occur. Sometimes, the FDA will approve drugs with concerning side effects on the condition that additional clinical trials be completed after the drug goes on the market. Yet the FDA has little power to enforce these requests, and are there are no consequences for drug companies who fail to comply with postmarket research requirements. 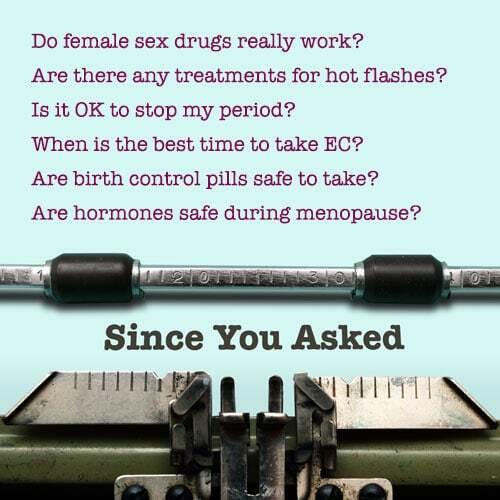 We saw this happen recently with the female libido drug flibanserin (brand name Addyi). This drug was approved despite its serious safety risks when mixed with alcohol. The FDA acknowledged these concerns when it approved flibanserin in August 2015 and required Sprout Pharmaceuticals to conduct three new studies on the effect of alcohol consumption on women taking Addyi. Two years later, all three studies are still listed as “pending” on the FDA website, meaning none of the three studies have begun. Meanwhile, thousands of women have been exposed to this potentially dangerous drug while we wait for clarifying data, data that should have been provided before the drug was ever approved. We know that this is a pattern with postmarket studies required by the FDA. For drug indications given fast-tracked approvals between 2009 and 2013, 58% of the required postmarket studies were not available after a median of 5 years after follow-up and 42% of these studies were either terminated or delayed by more than one year. There are clearly not sufficient incentives for pharmaceutical companies to follow through on postmarket research. Why would companies invest money fulfilling research obligations in good faith if there are no repercussions for failing to do so? The safety of women and people of color should not be dependent on incomplete reporting systems or an industry which can decide on a whim whether or not they will comply with FDA requirements after drugs are approved. The power to carry out the mandate of the FDA lies almost exclusively in the approval process. Drugs should be proven safe for a diverse population before they are approved, meaning the participants in pre-market clinical trials must be as diverse as the American people. Until this is the case, the FDA’s risk and benefit analysis fails over half the population. When it comes to incorporating patient perspectives into the drug approval process, we encourage the FDA to take patient input and experience into consideration. Our organization has been bringing women’s voices to the FDA for more than forty years. However, we are concerned with the potential we see for the pharmaceutical industry to skew input from patients, slanting it strongly in favor of drug approval. Nowhere is this more apparent than during the approval of eteplirsen in 2016. This muscular dystrophy drug was tested using a surrogate marker that FDA had concluded indicated no evidence of clinical benefit. Despite this, patient advocates swayed them in favor of approval. These advocates were coached by communications consultants, funded by Sarepta Pharmaceuticals, on exactly what to say to the FDA to garner their approval. Investigative journalists at the Wall Street Journal revealed that the FDA reviewers had no knowledge of Sarepta’s involvement in coaching patient testimony. The problem is not patient input; it is the lack of transparency from pharmaceutical companies regarding their company’s involvement in patient testimony. Many industries have recognized the benefit of manufacturing grassroots support for their products. These so-called “Astroturf” campaigns threaten to sway the FDA risk-benefit assessment if it allows patient experience to have a larger say in the drug approval process, and must be accounted for. Finally, we are deeply concerned that another issue before the FDA—loosening restrictions on off-label communications and marketing—could have significant ramifications for benefit-risk assessment, threatening to nullify whatever carefully vetted assessment process the FDA ultimately incorporates moving forward. All medical products pose some risk, so reviewers weigh those risks against a drug’s clinical benefit. A drug that poses moderate to serious risk is more likely to be approved for a serious illness like cancer as opposed to a non-life-threatening ailment. The drug’s intended use directly shapes the benefit-risk relationship. But if a pharmaceutical company can win approval for a high-risk product used to treat a serious illness and then market it for use in less-serious circumstances, the original benefit-risk calculation becomes meaningless. In closing, we implore the FDA to seriously consider the ramifications of changing the risk-benefit assessment in light of the data and experience we have shared in our testimony today. We are calling on the FDA to protect the safety of women and people of color by pushing for greater inclusion in clinical trials and rejecting any attempt to weaken consumer protections throughout the drug approval process. We hope you will take our testimony into account as you consider whether to changing the structured benefit-risk assessment in drug regulatory decision making.